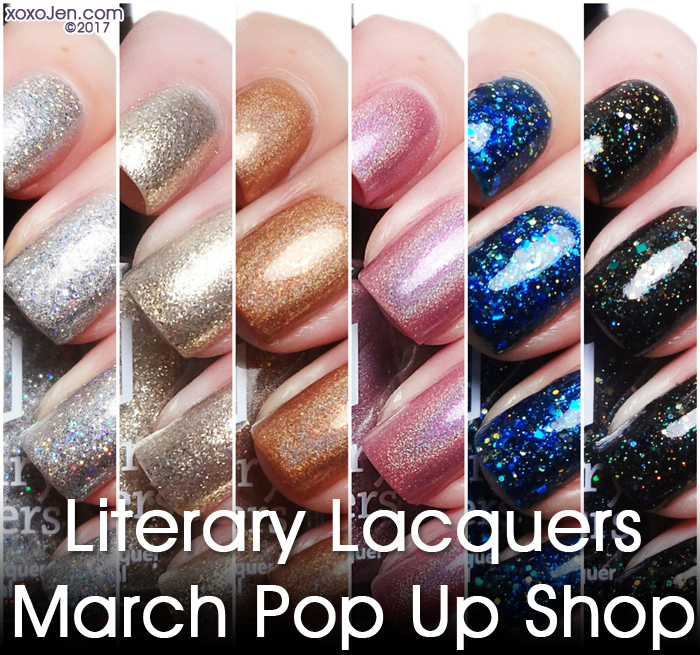 It's that time again for the Literary Lacquers monthly pop up shop! In last month's review I talked about her new business plan, and I'm loving it so far! The March release will showcase a total of six polishes, one a throwback and another brand new which I am sharing below. I have previously reviewed the other four which are: Felix Felicis, Avada Kedavra, Mirror of Galadriel and Color of Magic (formerly named Octarine). 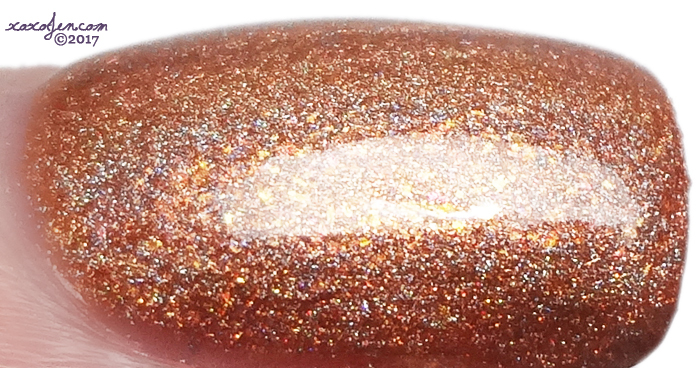 A champagne rose gold almost metallic holo with glass flakies. Inspired by the love potion in Harry Potter, and designed with Rachel McNulty for her geeky wedding. 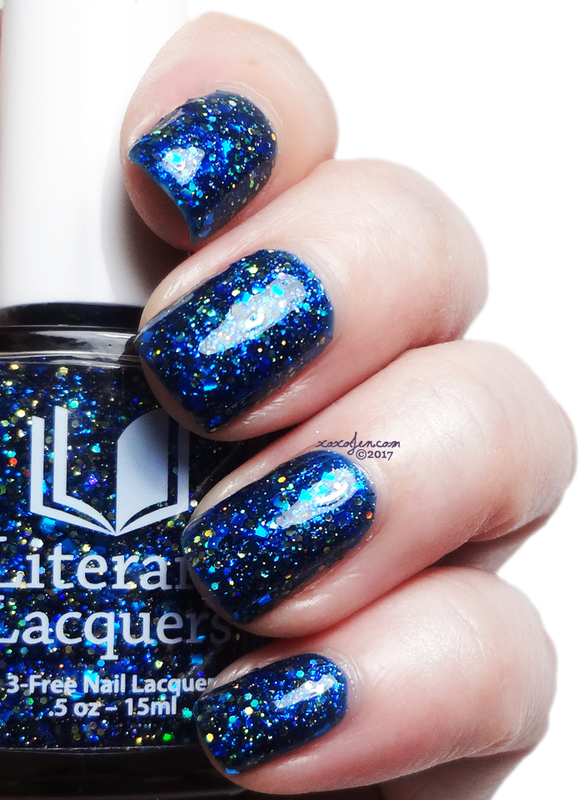 Opaque in one coat, super sparkly and such an elegant celebratory shade. While it is not necessarily limited edition, Amy has no current plans to stock it again after this pop up. So if you love it, grab it while you can. 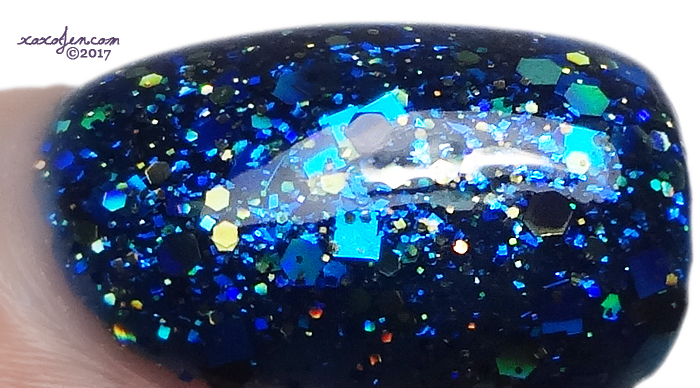 Deep blue jelly, with small gold squares, black hexes, and holographic gold hexes. One of the first polishes created by Amy, its namesake was also the name of the collection. 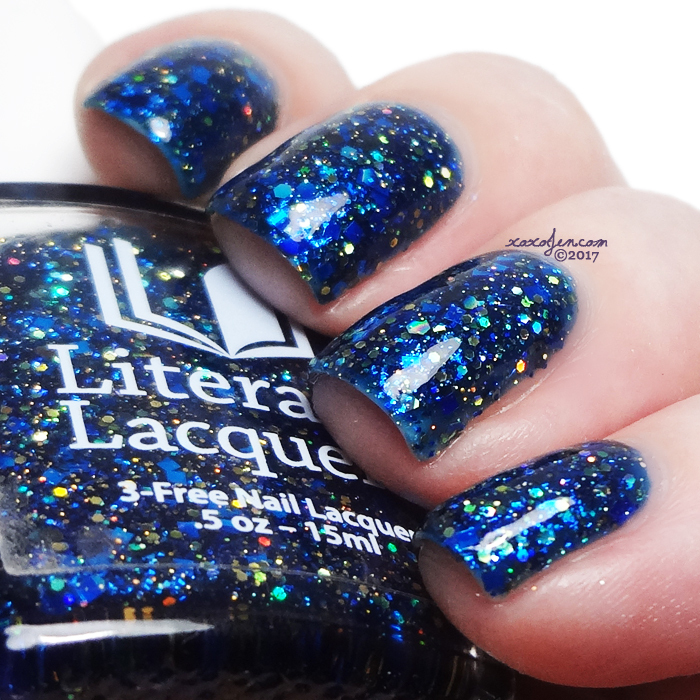 It has been reformulated and is absolutely beautiful. 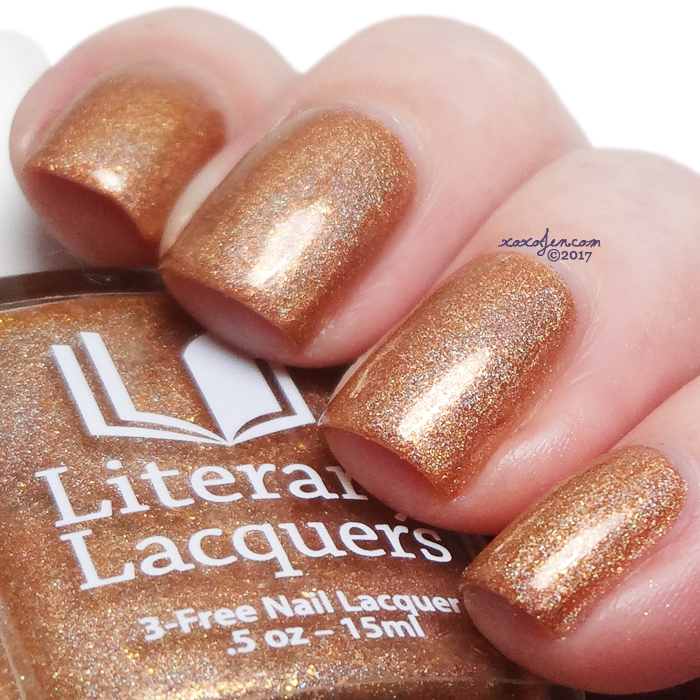 I wore two coats with gelous and topcoat for a smooth glassy shine. The shop opens on Friday, March 3, 8pm MST and will close Sunday, March 5, midnight MST. 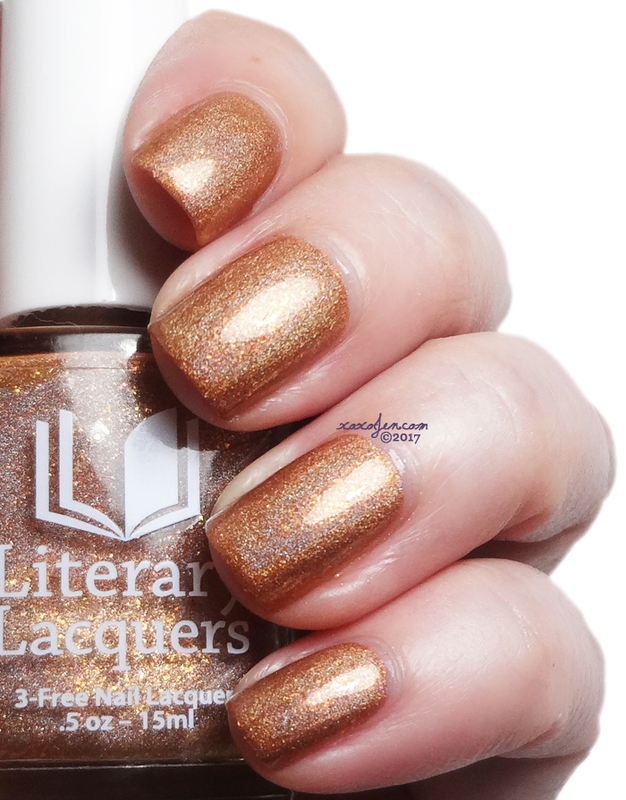 Polishes will be restocked periodically when they sell out through the end of the weekend. So if something is sold out, keep checking back until after the shop closes on March 5! Both of them look pretty awesome.